Having spent the entirety of my paid media career in an agency setting, I’ve had the opportunity to audit many digital paid media accounts. Often times this has included inheriting existing accounts from other agencies or from client’s self-managed efforts. One important - and often overlooked - aspect that I have seen is an organized and consistent campaign naming structure. While not as directly influential on the account’s bottom line as things like keyword optimizations, landing page changes or ad copy tweaks, a well-thought-out naming structure can go a long way in terms of day-to-day account management and reporting flow. Streamlining these activities will in turn only benefit your ROI! Below are some of the most common areas in which to segment your campaign names by. Do you target multiple countries with your digital media? Segmenting by geography is important for many reasons. Different countries differ tremendously in volume opportunity and click costs. Parsing these out by separate campaign name will facilitate budget distribution to your most relevant and valuable areas. In addition, if you target multiple languages within the same account, copy, creative and keyword (to name a few) will be much more fluid. In search, keyword performance by brand and non-branded terms differ greatly. While debating the strategy of bidding on brand terms is beyond the scope of this blog post, 90% of the paid search accounts I’ve worked on in my career have bid on brand terms. Clearly segmenting and labeling these into their own campaign naming conventions is essential for optimal budget and bid management. A long-standing best practice of paid search management is to segregate match types into, at the minimum, different ad groups, if not different campaigns. While the waters of clear keyword mapping have been muddied in recent years due to Google’s close variants changes, structuring your campaign name by match type has many advantages including budget allocation, bid management and application of negative keywords. Assuming your website structure is clear and organized (if this is not the case, stop reading here and get on that), organizing your campaign names in alignment with your sitemap is the logical way to proceed. This will allow for clearly defined campaign names that are in accordance with the different products or services your client or company offers. This will often time be obvious since networks like Google include this by default as a column. However, having this labeled in your campaign name can be a boon in quickly identifying these for daily account checks and custom reporting. Of course, if you have an amazing 3rd party tool such as DashThis to do this for you, networks and channels can be set to be segmented by dashboard. That said, in instances where you need to do custom excel reports, this type of campaign naming can come in handy. In conclusion, there is no “right” way to name your campaigns and this is highly dependent on your channel, offering and business vertical. That said, having a well-organized and clear campaign name structure can make your life easier as an account manager. Want to streamline your reporting process too? Use DashThis advertising campaign report template to showcase your hard work in seconds and impress your clients! 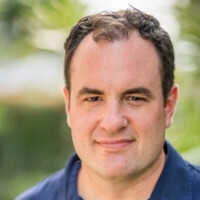 Michael Crane has been in the digital marketing field since 2011, where he spent several years managing paid search accounts for some of the biggest brands in Silicon Valley. These days, he is a Senior Digital Marketing Specialist at LoSasso Integrated Marketing in Chicago where he manages several clients across channels and verticals.